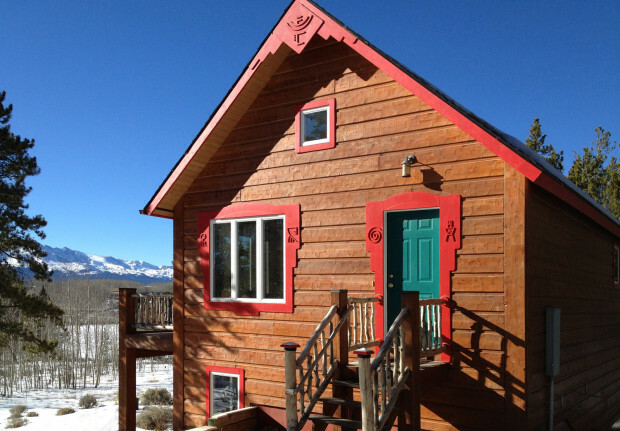 The cabin is a wood-frame building, clad in 12"x 2" milled spruce planks: 1200 square feet on two levels, with one large room on the upper level; 200 sq. ft. toolshed. 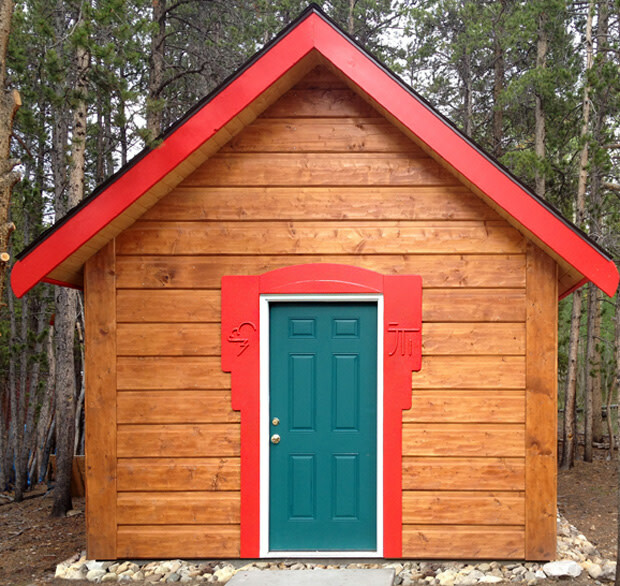 The exterior trim consists of painted duraply window, door and roof-peak trim with spruce planks on the roof fascia boards. 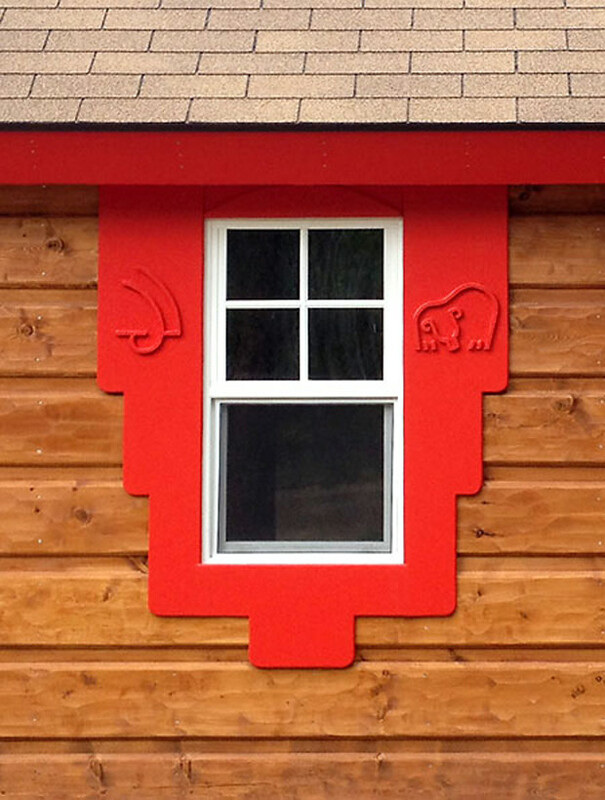 There are twenty four abstract and figurative glyphs on the trim. The railings are standing-dead weather-polished aspen. 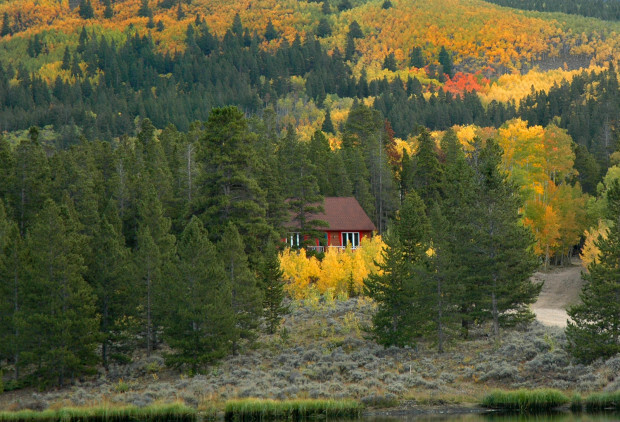 The building sits at an altitude of 10,000 with a full view of the Sawatch Range. The building design combines references to both the local mining traditions and also the vernacular traditions of eastern Europe and Scandinavian architecture. The goal was to create a building that welcomes one into an alternate world. While the mining tradition was hasty, the eastern european wood buildings incorporate a variety of elaborate decorative elements that took time to add. That element of slow development and improvisation was important to creating a personal and expressive architecture. 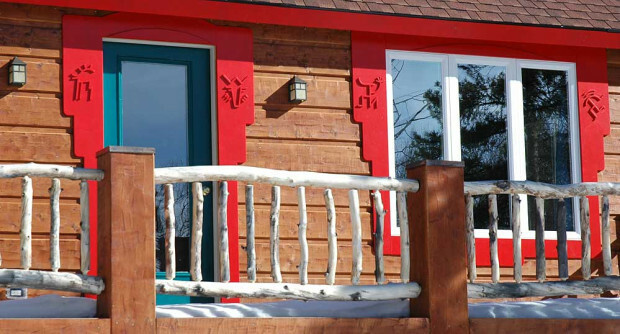 The red trim and the glyphs are one of a variety of tactics applied to the building, inside and out, that contribute to the feeling of the architecture. The building is a collaboration between an architect and an artist. Ruggles' extensive experience with the language of residential space, developed while creating buildings of much greater complexity than this, informs the cabin with a quiet perfection of comfort, containment and relationship to the forest, the valleys and the view. I designed and executed all the exterior and interior trim and finish. Window and door trim was made in my Denver studio. Two of the photos illustrate a small toolshed. 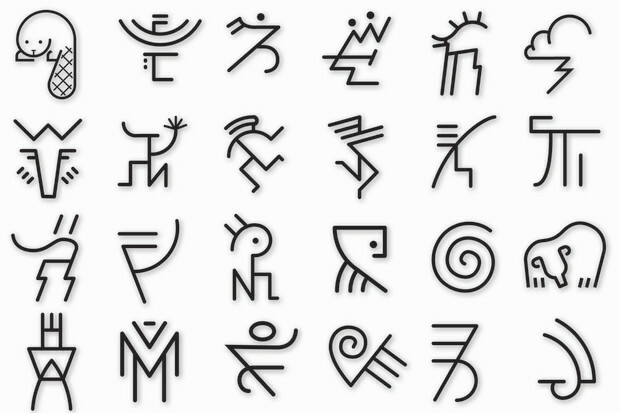 The symbols are all my own designs (except for the spiral, a universal glyph). I have drawn and refined them for many years. The bright red color is a primary tactic in the design. It is the complement to the greens in the environment, and functions like the red paintbrush that flower here in the mountains. It emphasize's Ruggles' tasteful design of the buildings openings.